What's all the buzz about? In Sandra and Brian Alters' years of teaching biology and training science teachers, they've worked to understand how to create the optimal learning environment and a buzz in the classroom. 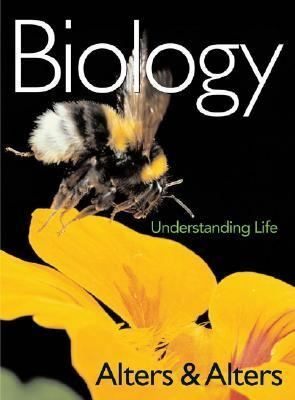 Biology: Understanding Life reflects this experience and dedication to teaching and learning by providing unique, classroom-tested examples, analogies, and explanation--along with pedagogy that points students to the important ideas in biology. Some of these unique, highly-praised pedagogical features include: Analogies throughout the text help students visualize and understand concepts and processes by comparing them with readily recognizable, real-life examples. Visual Thinking questions accompany many of the illustrations in this text, asking students to demonstrate understanding and application of what's being depicted in a figure or table. In The News chapter-opening stories, video clips, and end-of-chapter review questions place biology topics in the context of current events and students' lives. Just Wondering boxes placed throughout the text showcase and answer questions from students across the country. At the conclusion of each box, students are invited to submit their own questions to the authors by visiting the text's companion website. Levels of Understanding Review Materialsat the end of each chapter include questions structured according to a three-level system, providing different types of questions designed to encourage students to think about different strategies for studying the chapter's material.Alters, Sandra M. is the author of 'Biology Understanding Life', published 2005 under ISBN 9780471433651 and ISBN 0471433659.